Explanation: How prevalent was water on Mars? Results from the Spirit rover now indicate that Gusev crater likely had a wet past, a result that comes shortly after Spirit's twin rover Opportunity uncovered clear evidence of past water at Meridiani Planum on the other side of Mars. 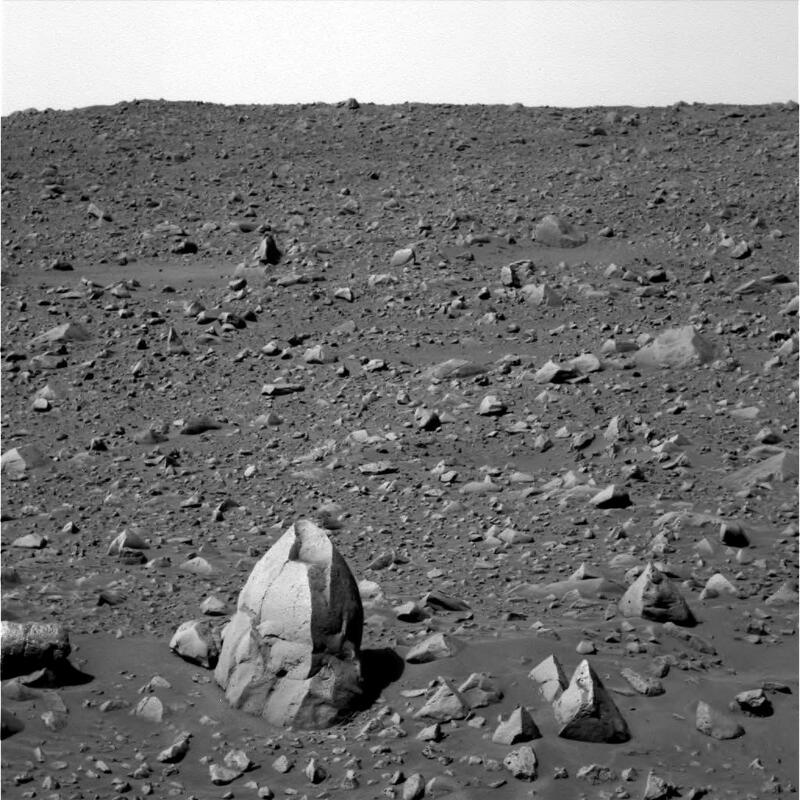 Evidence uncovered by Spirit and released last week focussed on a large rock of unusual shape nicknamed Humphrey, shown above near the image bottom. Detailed inspection of the rock revealed a bright material filling internal cracks. Such material may have crystallized from water trickling through the volcanic rock. The amount of Mars once covered by ancient water remains unknown, as both rovers landed in regions thought likely to once be underwater. 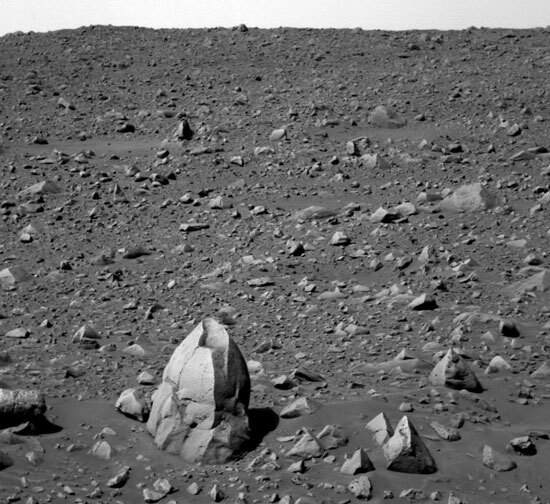 Spirit continues to roll across Mars, recently passing the 300-meter mark on its way to Bonneville crater.